It's Valentine's Day and 20-year-old Emma Wright just wants her crush to take notice of her. But Colby Davidson, the K9 search and rescue deputy only thinks of her as a kid sister. How will she get him to take her seriously? 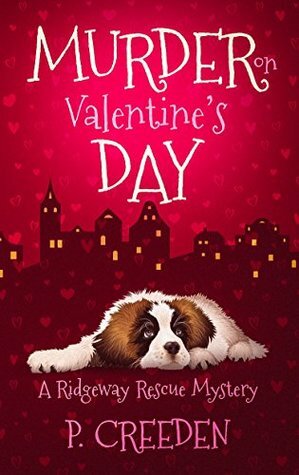 When her veterinarian boss calls her to pick up a cat at a potential crime scene, she finds herself at the house of the richest woman in Ridgeway. Her father—the sheriff—and Colby are there. They both dismiss the untimely death as a heart attack, but Emma finds clues that it might be something more. Did the software billionaire die of natural causes, or was it murder? If you've read my reviews of Pauline's writing before, you already know how much I enjoy her work. I kind of want to be her when I grow into my writer's shoes! The Good: Another quick read that was perfect for a slightly chilly afternoon. I read this series out of order but it didn't matter. They all work great as standalones. The characters are engaging and the story keeps moving right along. I swear that Emma is the non-ocd version of Monk with her observation skills! The Bad: Yep, still got nothing when it comes to this series. The Summary: Another fantastic piece to this series! I love how you can read each one as a standalone or as part of the ongoing story arc. I honestly cannot recommend these more if you're looking for a cozy mystery to while away an hour or two.